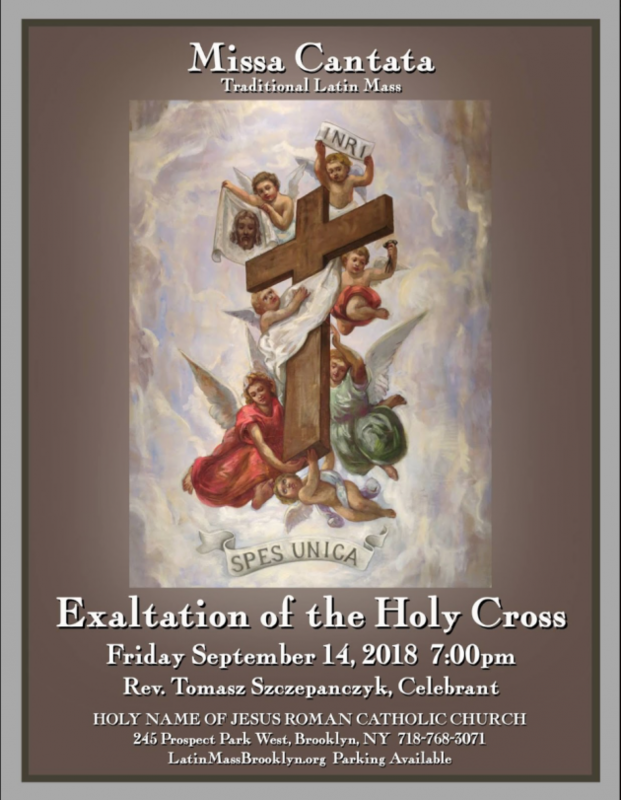 A number of churches in the area will offer special Masses for celebrate the Feast of the Exaltation of the Holy Cross on September 14. 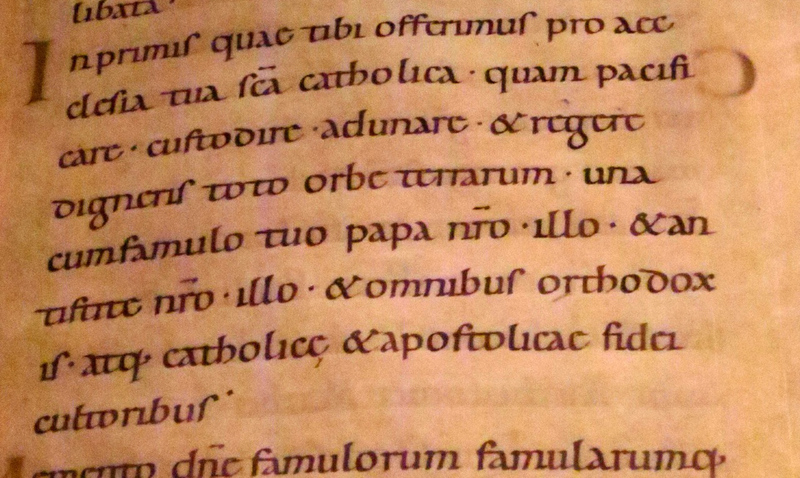 St. Patrick Church, Bridgeport, CT, Solemn Mass, 7:30 pm. 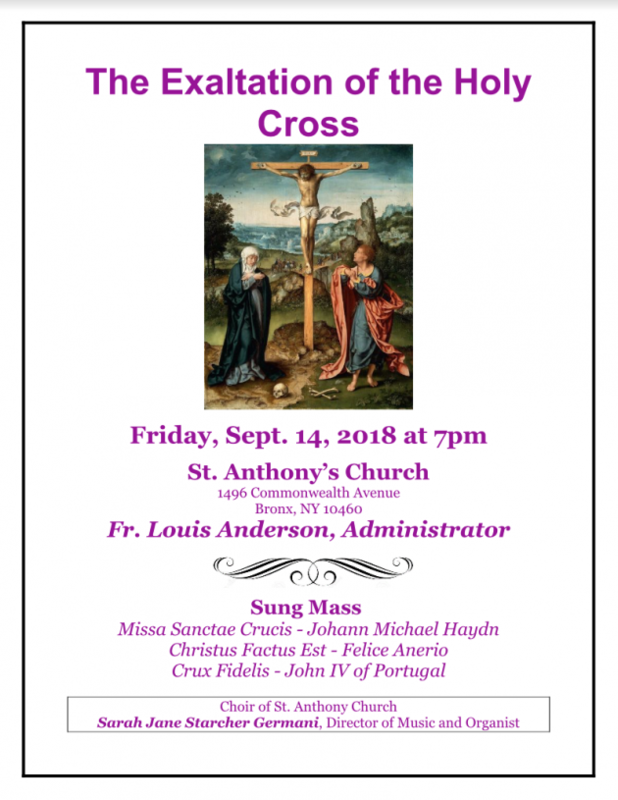 St Anthony Church, 1776 Mansion St., Bronx, at 7 pm: Solemn Mass for reparation for the sins of the Church for the Feast of the Exaltation of the Cross. 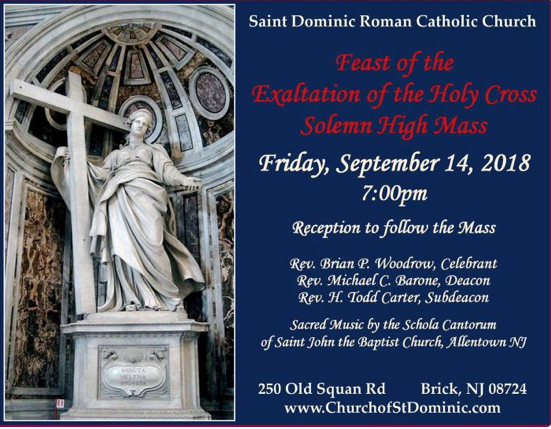 St. Dominic Church, Brick, NJ, Solemn Mass, 7 pm. 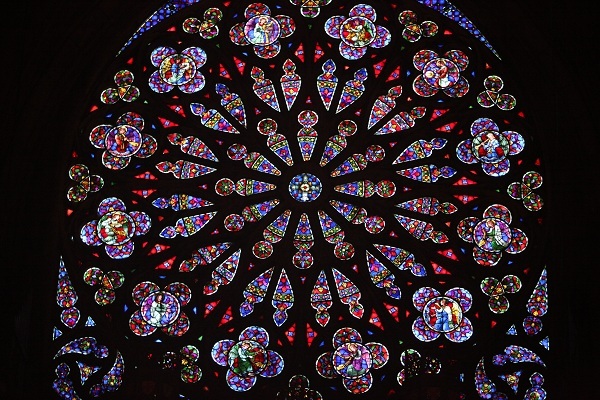 Sacred Music by the Schola Cantorum of St. John the Baptist, Allentown, NJ. Reception to follow Mass. 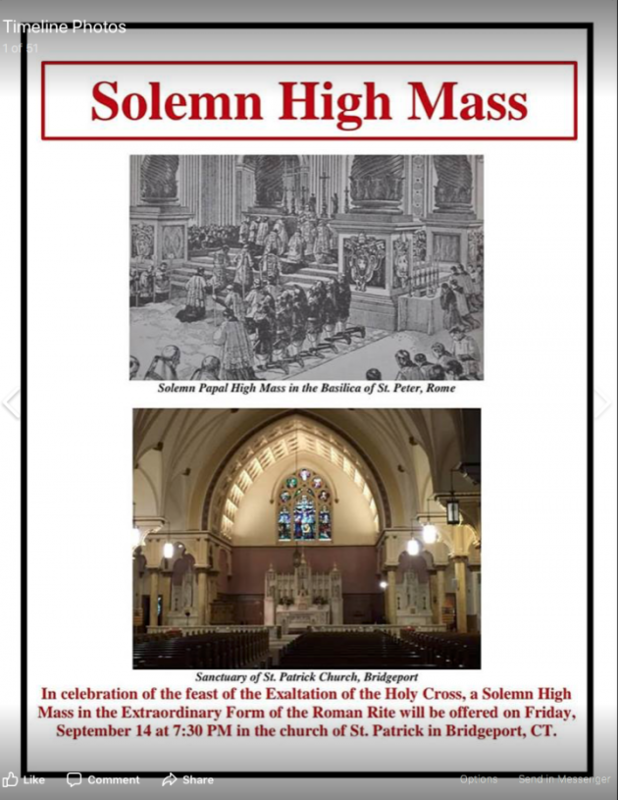 Will there be photo coverage of the mass at st. Patrick’s in Bridgeport?